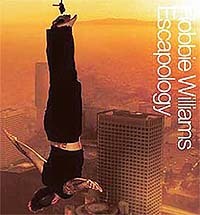 A true performer in every respect and one of the few men of enormous talent to emerge from the Boy Band era, Robbie Williams is back with a brand new album Escapology. Escapology, his first album since crooning Swing When You’re Winning, has carried some of the influence from that mellow image. Musically and vocally, there are a few surprises here but lyrically he’s moved on from cleverish wordplay and inane love songs. The one-liners in the songs are rather hilarious. Come Undone is surely a future hit as is Me & My Monkey, with its Spanish guitar, trumpets and daft lyrics. The surprise of the album though is Robbie’s first solo writing credit. Nan’s Song is a beautiful mid-tempo acoustic guitar-edged track. The styles are diverse. Song 3 is an aggressive sounding number while Hot Fudge is a singalong piano track. Love Somebody is probably the nucleus of the record. This is unquestionably the best Robbie Williams album so far. Linkin Park’s 2000 debut Hybrid Theory was an awesome release which catapulted the band into the nu-metal stratosphere. Instead of diving back into the studio to churn out new material, the band chose to slide the tracks to some of the world’s hottest re-mix producers and vocalists. 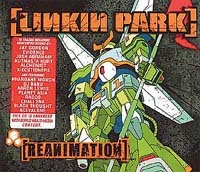 Reanimation puts Hybrid Theory back into practice, and goes straight for the hip-hop heads. The drums, vocals and guitars of the original recordings are thrown out and replaced by hip-hop groove, scratchy beats, rumbling piano bags and newly recorded raps by Pharoahe Monch and Rasco. If you want to know about true arty rock, this is your pick. Alms For Shanti is better known as a band by Uday Benegal and Jayesh Gandhi of India’s most successful rock band, Indus Creed. When Indus Creed decided to call it quits in 1997, Uday and Jayesh formed Alms For Shanti in New York. Having played successful gigs at some of the most happening clubs, including The Elbow Room, The Roxy, Brownies, Acme Underground and Baby Jupiter, Alms For Shanti is probably one of the most prominent names in the world music circuit today. The band’s sound is a unique mix of Indian and western philosophies, merging traditional Indian melodies, soundscapes and textures with western sounds. The uniqueness in handling these varied layers of music has helped Alms For Shanti win enormous global audience in a very short period. The band’s recently released album Kashmakash is not just a collection of fusion tracks — it is a birth of a whole new sound that has a no-boundaries feel to it, with everything splendidly huge yet talking about out our day-to-day life. The album features a list of eminent guest artistes, including Taufiq Qureshi (percussion), Rakesh Chaurasia (flute), Deepak Borkar (ektara), Dhrubi Ghosh (sarangi), Sridhar Parthasarathy (kanjira and mridangam) and Madhukar Dhumal (shehnai). Nag Ghum is an adaptation of a traditional Banarasi composition geared up with sheer dance energy. Superbol features Taufiq offering some excellent vocal percussion. Pahadi is an instrumental track featuring a splendid mix between Chaurasia’s bansuri soars and Jayesh’s guitar strings. The highlight of the album is however the title track Kashmakash — a satire on the commercialisation of religion in India. "A Shaman is a person who is a spiritual healer, who brings balance to mind and body, heart and spirit with colours and sound, creating unity and harmony in the world." In 1999 The Rock and Roll Hall of Famer reached a whole new audience with the multi-platinum-selling Supernatural belting out mega hits with Dave Matthews, Wyclef Jean, Rob Thomas, and the like. Given its blockbuster status, a sequel that followed the same blueprint was inevitable, which is exactly what 2002’s Shaman is. Anyone who loved Supernatural will love this one too, and so will all the old fans who never lost faith in this unique guitar stylist. Shaman repeats the formula established in 1999, by pairing the legendary guitarist with stars from pop, rock and R&B talent pool. Shaman dazzles with sparkling moments. Seal’s smooth voice perfectly matches the soulful lines that Santana churns out for You Are My Kind. America is the heaviest rocker on the album, featuring P.O.D. The cheeseball expression of Nickleback’s Chad Kroeger is a perfect ingredient in the pleasure-packed balled Why Don’t You And I. Macy Gray is at her soulful best on the beat-driven Amore, while Placido Domingo soundblasts us on the widely classical Novus. Equally interesting are the tunes that delve into Santana’s Latin heritage, from the light and spaced out Hoy Es Adios to the blunt-talking One Of These Days. As Santana continues with the formula that has been so well accepted throughout the world, he becomes more comfortable with it and creates music that touches your soul and has a global appeal that goes far beyond the music itself. 1. What is the latest album by George Harrison called? 2. Julian Lennon did a cameo role as a bartender in which film? 3. Which Jimi Hendrix song did Fiona Apple do a cover of? 4. Which band did the original Letters To Cleo drummer join after he left the band? 5. Name Avril Lavigne’s debut album. 6. Which song did Oasis write about Richard Ashcroft? 7. Christina Anguilera teamed up with Mya, Lil’Kim and Pink for the soundtrack of which film? 8. What was the name of Jakob Dylan’s (The Wallflowers) first band? 9. On which Rocafella album did Jay-Z collaborate on, to dwell on the absence of his father? 10. Which song was Shania Twain’s first number one hit?